Despite the fact that uncertainty in the investment markets is always a certainty – they are often telling us that if there is one thing they don’t like – it is uncertainty. Well, the uncertainty is very obvious in the environment of the political struggles over Brexit. Most indices that tell us how your investments are getting on are looking less healthy than they were a year ago. 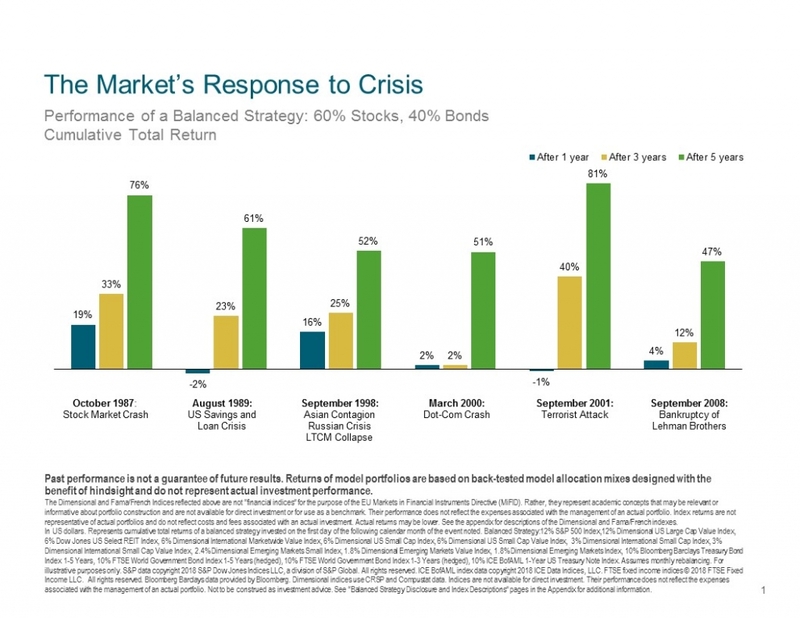 So what should you be thinking when you consider how your investment portfolio is performing? Whether it is going up or going down? Often it is the opposite of how our emotions would lead us – like skiing when you’re instructor tells you to lean downhill when everything within tells you to LEAN BACK! The blue line tracks the value of investments. 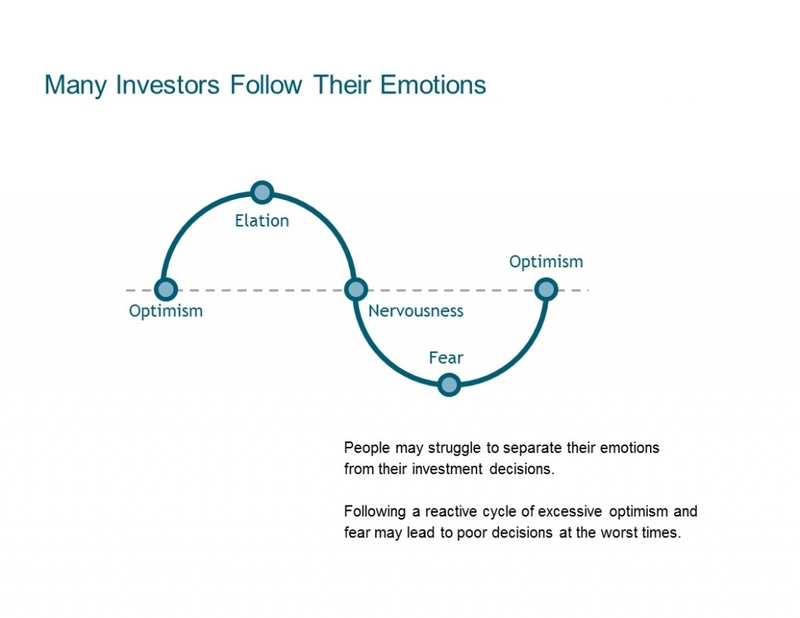 The emotional “points” show how we struggle to separate our emotions from our investment decisions. Either everything looks rosy so we invest more (when we should be taking profits) or things have slumped and we decide it’s time to get out (just at the point it would make more sense to buy). Reactive investment decisions are too often driven by exactly the wrong emotion. We put disciplines in place which help you avoid making these poor investment decisions. The investment portfolios we construct for you are designed to weather the ups and downs of the market. The strategy you adopt with our guidance is designed to work within the tolerance you have for risk. What the chart shows is the return on a “Balanced Strategy” after a financial crisis – 1 year after (blue), 3 years after (yellow) and 5 years after (green). When the market falls significantly there is a high probability of good positive returns if you stay put. If you can’t stay put you simply shouldn’t be invested in the first place. My conclusion is that whilst there will be confusion and wild days to come over the coming months, you should resist allowing your emotions to take over your investment strategy and trust instead to the disciplines and philosophy with which we have helped you build your investment portfolios.